After releasing their massive 26-song album It’s the Big Joyous Celebration, Let’s Stir the Honeypot earlier this year, Teen Suicide are already working on their next project. 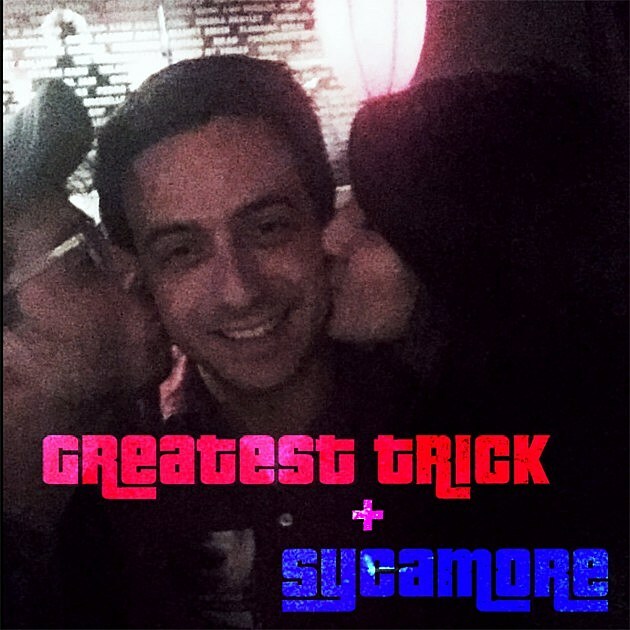 In celebration of the their final tour under their “horrible, juvenile, and problematic name Teen Suicide”, the band has released two new songs, “The Greatest Trick” and “Sycamore”, for pay-what-you-want on their Bandcamp. The group claims the songs don’t fit with the sound of their new album, but still wanted to get them out there somehow. The released the new songs on Bandcamp under the name The World’s Greatest, but on Spotify they’ll still be Teen Suicide for a little longer. Until the band can come up with a permanent new name they have also suggested you call them “Hot Sloppy Joe Boys”, if that’s more your speed. The band’s upcoming tour with Elvis Depressedly and Nicole Dollanganger is starting very soon. The first show is in NYC on August 3 at the Market Hotel. Tickets for that show are still available.